A week ago, Mahmoud Abbas let loose with a tirade that lasted over 2 hours, aiming his anger at enough people that Abbas had something to say about just about everyone, including blaming Oliver Cromwell, Napoleon and Winston Churchill for Israel’s creation. Not surprisingly, the left blamed Netanyahu and Trump for antagonizing Abbas and bringing him to this point. In effect, Abbas is saying that in the foreseeable future there is no chance of starting realistic negotiations that could yield a stable diplomatic outcome. This is not a tactical overturning of the chessboard aimed at mobilizing international pressure, but a cry of despair by a Palestinian president who sees how the vision of an independent Palestinian state has reached a dead end. On the other end of the spectrum, there are “I told you so’s” who say that his words justify and confirm that Abbas was never a moderate or peace partner. But there may be more at stake than just Abbas’s image. 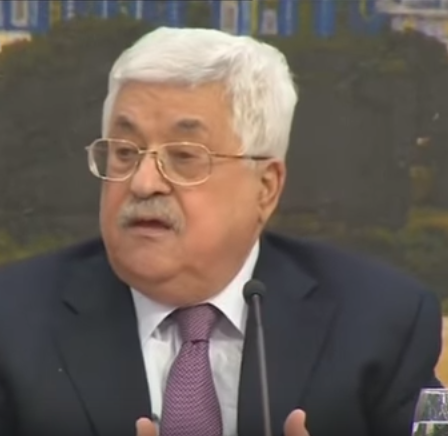 One article of interest analyzed Abbas’ speech and took it a step further, suggesting where it might lead, based on a project suggested by Daniel Pipes. The conflict between Israel and the Palestinian Arabs contradicts that paradigm, where the losing Arabs have been sheltered from ever having to face the repercussions of defeat, and perpetually live to fight another day. Writing for Mida, Daniel Krygier claims that with last week’s rant, Trump’s recognition of Jerusalem is tantamount to a “truth bomb” and the illusion of Abbas the moderate is gone. Also gone is the belief that with Abbas taking power after Arafat’s death, peace could somehow be right around the corner. The implications of unmasking Abbas are clear beyond any doubt. PLO never abandoned its goal of eradicating the Jewish state and rejects Jewish national independence within any borders. Israel and the international community have wasted 25 years and billions of dollars on a “peace process” with a corrupt and genocidal PLO leadership that refuses to let go of its fantasy of destroying Israel. Since PLO, Hamas and UNWRA are obstacles to genuine peace between Arabs and Jews, they must be dismantled and replaced with a new Arab leadership committed to the welfare of its citizens and peace with Israel. PLO’s leadership are the pupils of Nazi, Communist and Islamist ideologies that are incompatible with genuine peace. Time has come for Israel and the US to tell PLO that the game is up. With or without Abbas, PLO is a dead man walking and is in no position to demand anything from anyone. Only a mad megalomaniac despot living in fantasyland, issues threats to powerful nations like the US and Israel. The US, under the leadership of Trump, is key based on what Trump has done and has promised to do. With Abbas’s speech last week, what Pipes suggested last year seems just a little bit more possible than one might have expected just a few months ago. In recognizing Jerusalem, Trump did something that even his biggest supporters had begun to doubt him capable of doing. Now Vice President Pence announced in Israel that the US embassy will be relocated to Jerusalem by the end of next year — a step that would prove even further the weakness of the Palestinian Arab government. Financially, Trump is undercutting the PA and may leave it with few options. Even with Abbas turning to the EU, and already having their backing for the creation of a capital in “East Jerusalem,” it is not clear the EU can provide a unified front in support of the venture. On top of that, with Trump cutting back on funding of UNRWA and of the Palestinian Authority, the EU may be putting themselves in a situation where they not only will be expected to talk like a superpower, but also act like it as well — providing the financial backing the PA needs on a regular basis. That will also mean the EU placing itself into the spotlight where it is obvious where the money for terrorist stipends is coming from. Even if the Palestinian Arabs were to come back to Trump with the expectation of his presenting the outlines of a feasible peace plan, they already know that such a plan is being prepared and based on elements of it being leaked, the Palestinians are becoming familiar with a position Israel has been in for a long time — being told what peace is going to look like. 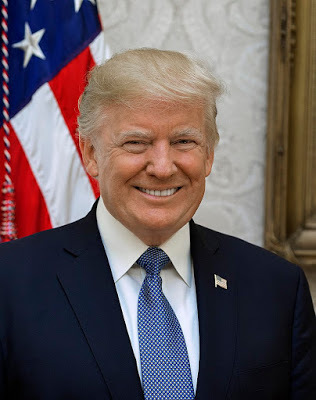 It could be interesting to see how things develop, especially since one would expect Trump to try to put as much as possible into effect rather than relying on a second term. Nothing can be certain, of course, but seeing Trump doing things — and promising more — that others have said cannot be done, make the 2018 something to look forward to.